Though it’s hard to label a movie that plunges 60% from its opening weekend a success, when that movie is The Hunger Games and that drop still means a $61.1 million haul, it bears an uncanny resemblance to a success. (Considering the last Twilight movie dropped nearly 70% and the last Harry Potter dropped 72%, it looks even healthier by comparison.) 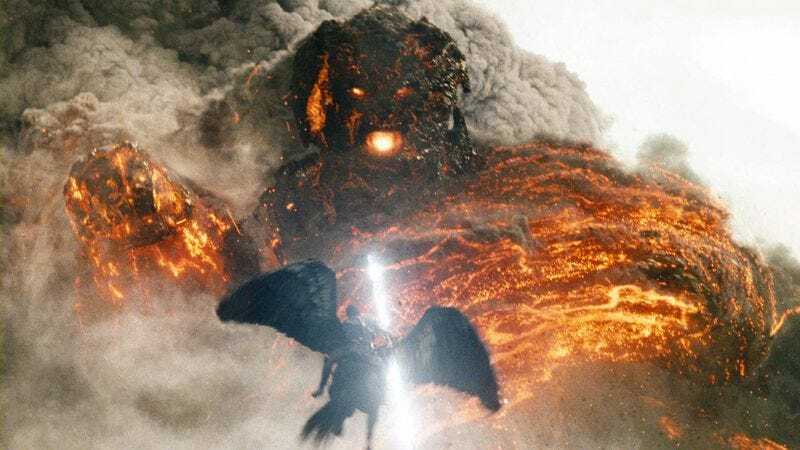 By the same token, it’s hard to label a movie that opens to $34.2 million a failure, but against a $150 million budget, Wrath Of The Titans looks like a disappointment and also an unforced error on Warner Brothers’ fault. As Box Office Mojo’s Ray Subers points out, expectations for a sequel to Clash Of The Titans should have been low, given the earlier film’s 5.8 IMDb rating and general reputation as a failure. (Also: Where’s the Kraken?) Elsewhere, the first of two competing Snow White projects, Mirror Mirror, landed a distant third behind The Hunger Games and Wrath Of The Titans, with a meek $19 million to go along with the tepid marketing campaign, mediocre reviews, and a general feeling that the other Snow White movie is looking better. In limited release, the ratings drama surrounding Lee Hirsch’s documentary Bully paid off in the strongest per screen average of the week, with $23,000 per screen on five screens. After we pause to a moment to marvel at the irony of Harvey Weinstein distributing an anti-bullying movie, it’s time again to recognize how savvy he can be at attracting a lot of press beyond anything a publicity budget can muster. His kabuki dance with the MPAA—which shot down his appeal for a PG-13 rating, leading his company to release with film without a rating—has made it a cause célèbre, and made an event out of an indie documentary. No such attention was given to Juan Carlos Fresnadillo’s Intruders, which collected an embarrassing $1,227 per screen on 33 screens, despite the presence of Clive Owen in the lead role. Owen clearly needed to go the full Fassbender on that one.